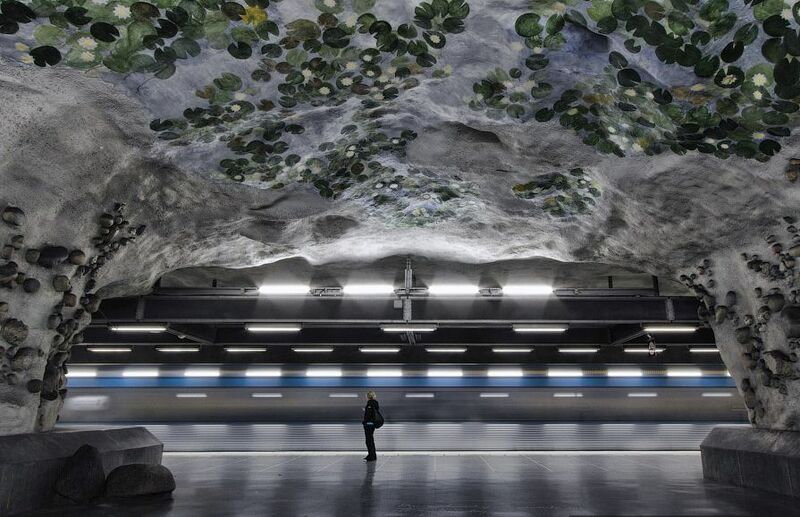 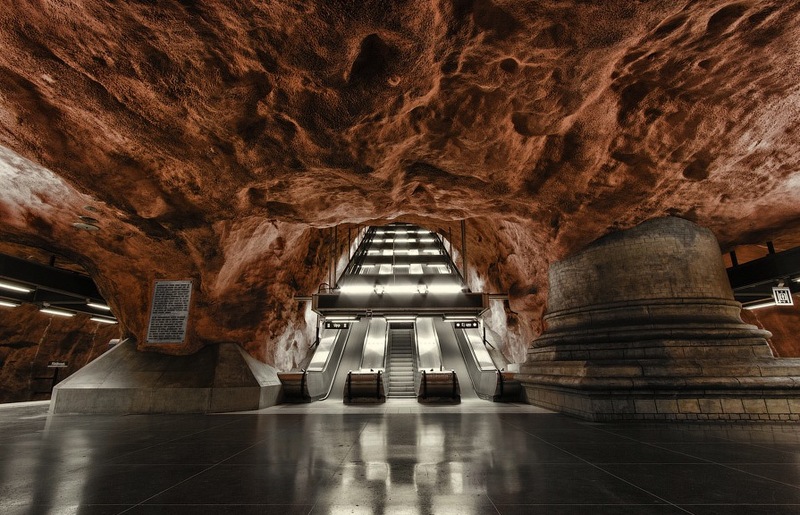 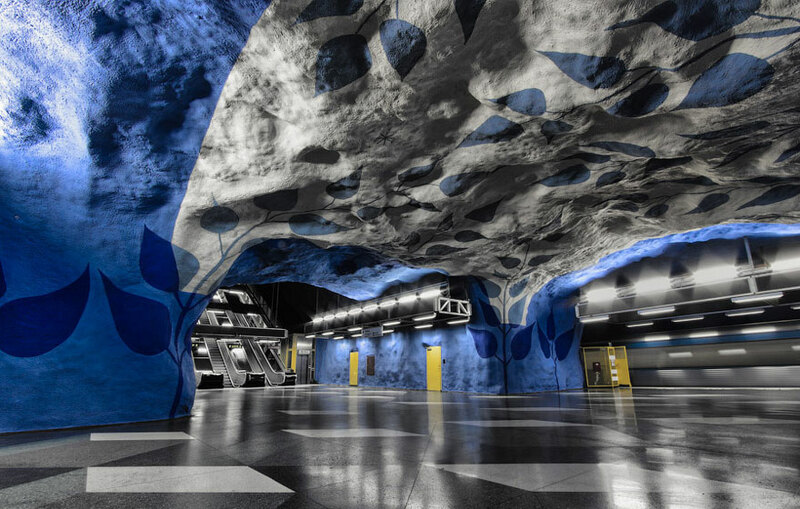 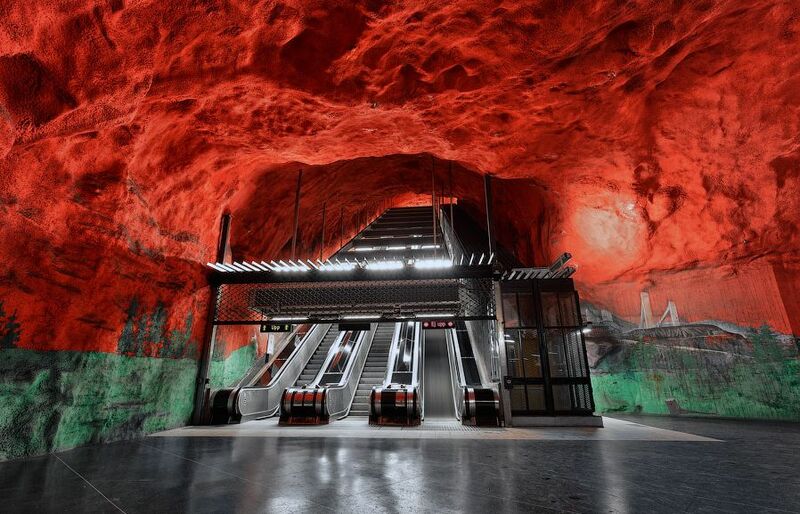 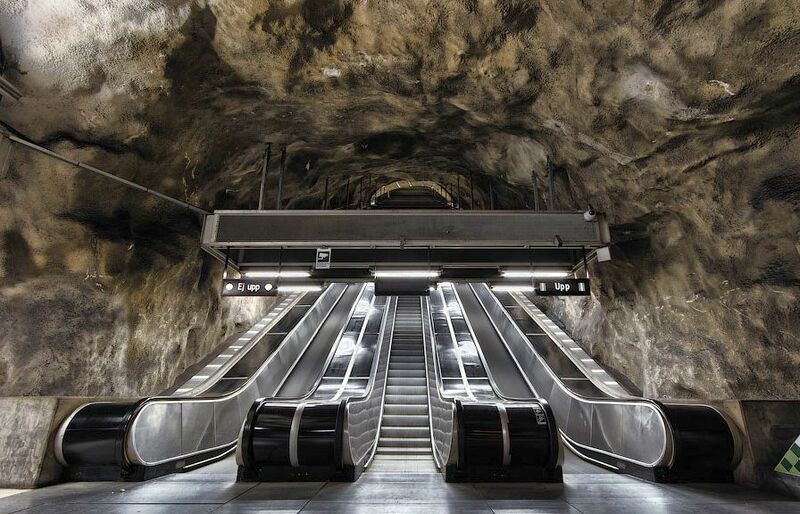 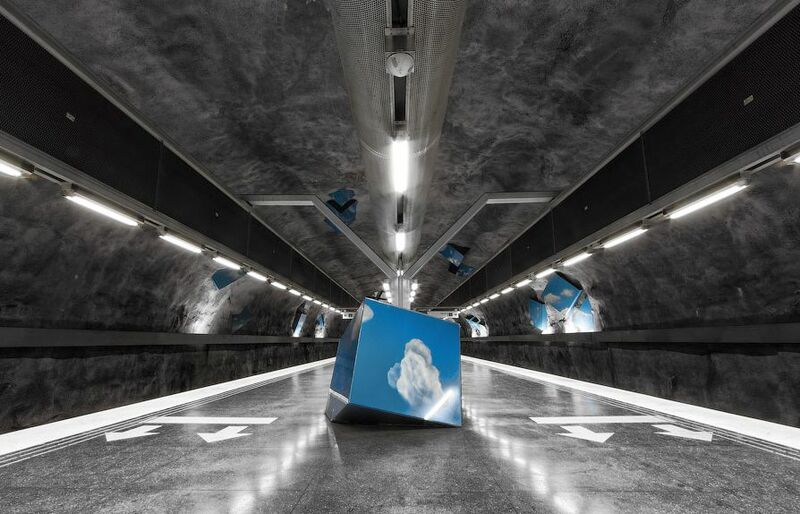 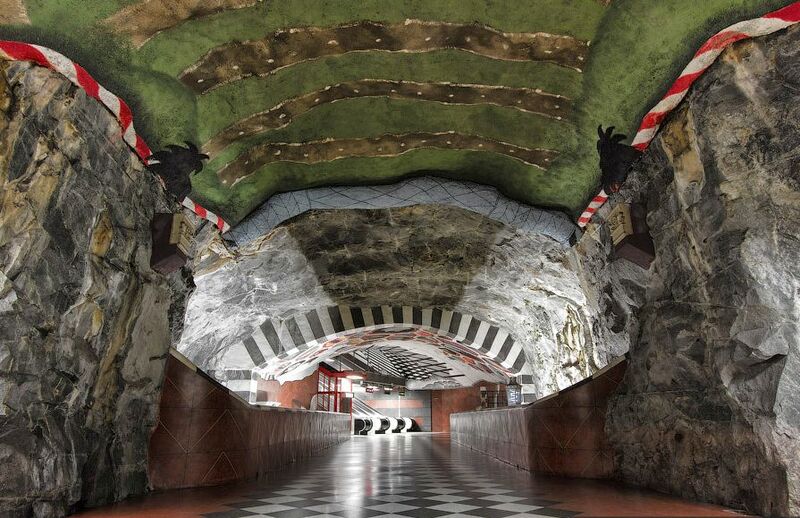 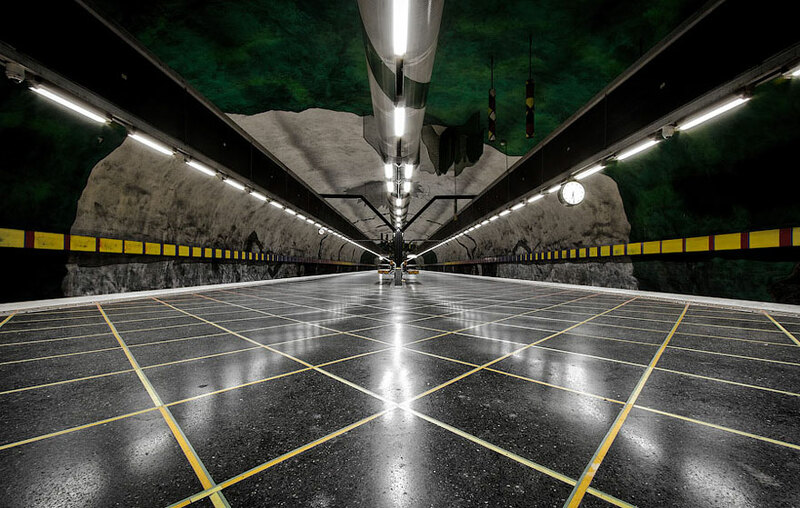 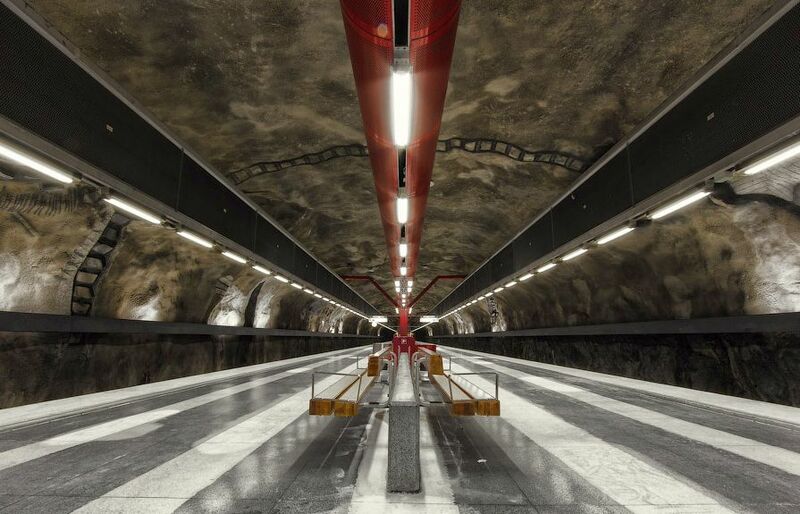 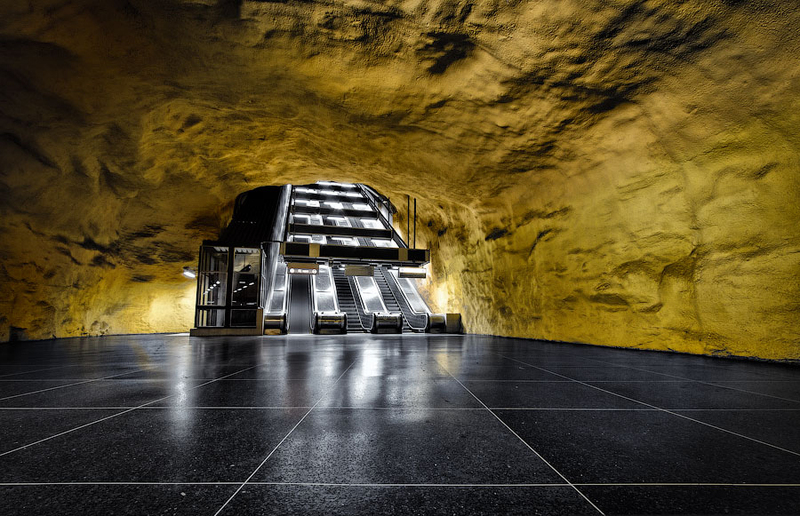 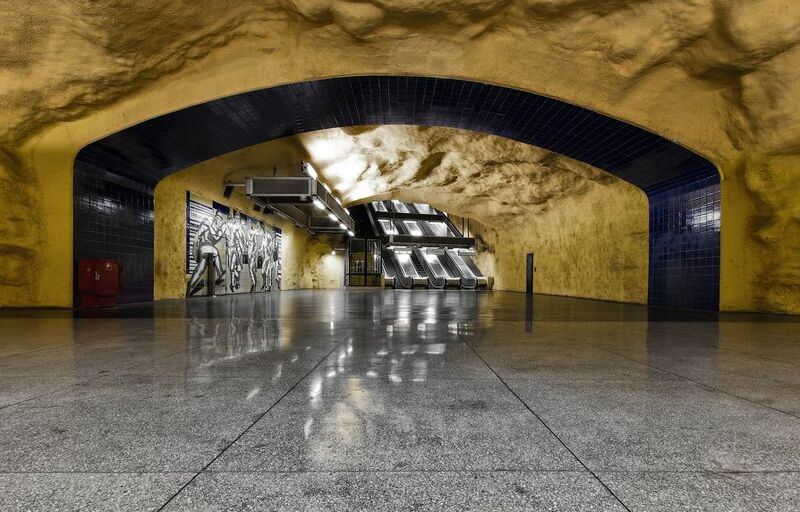 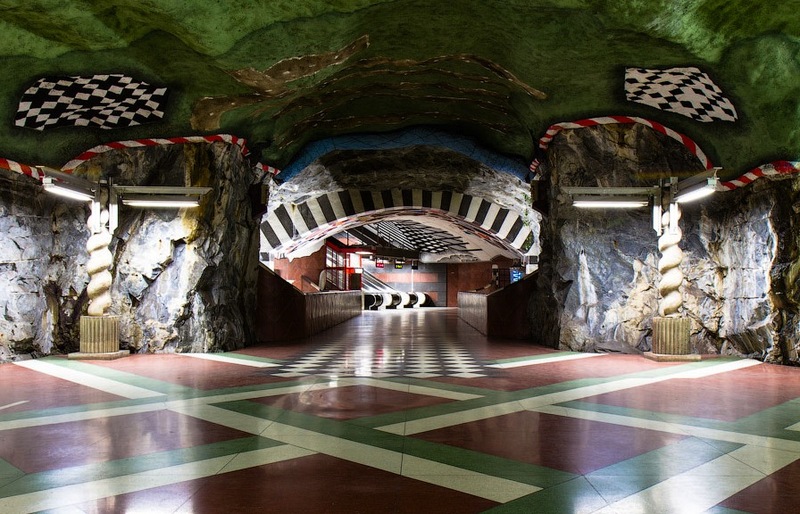 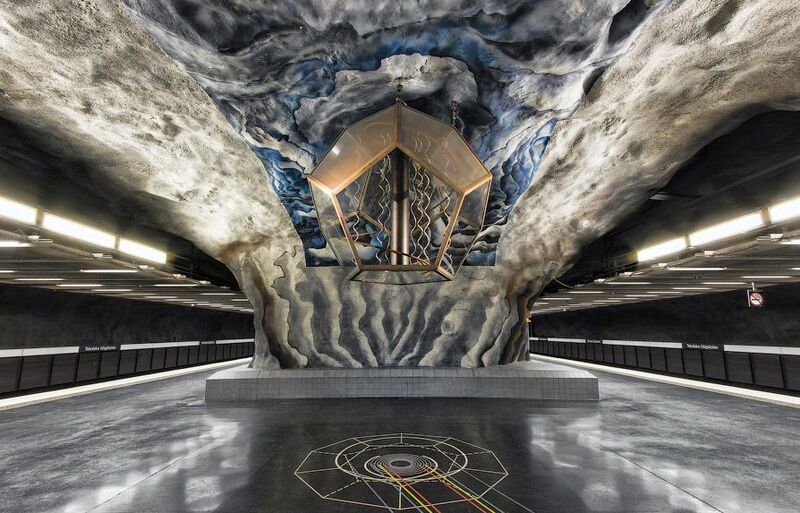 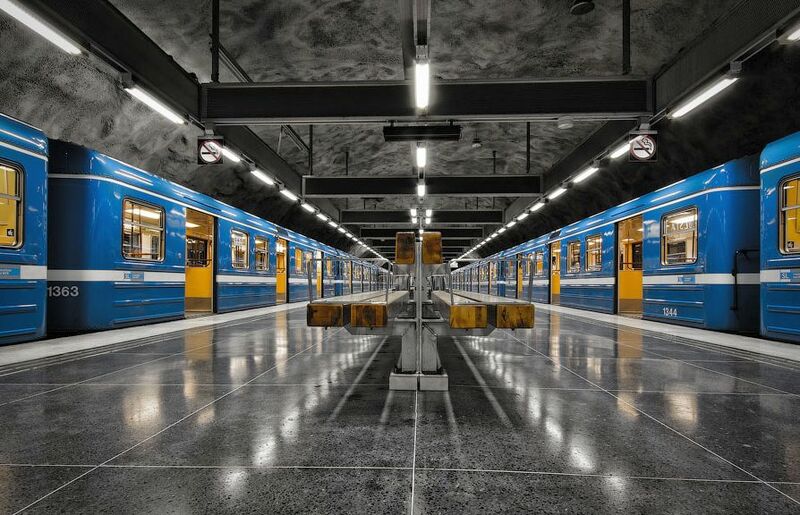 Dubbed the “world’s longest art exhibition”, the Stockholm metro system is a futuristic subterranean wonderland of awe-inspiring design. 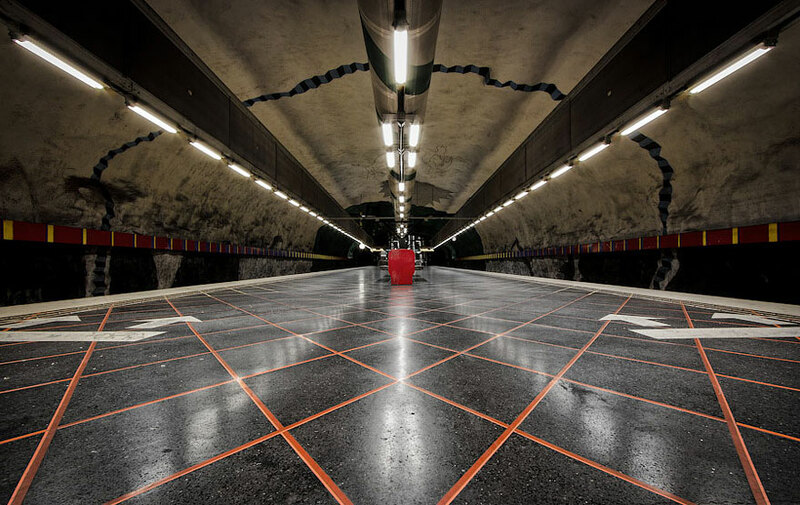 The first line opened back in 1950, and today the metro has 100 stations in use. 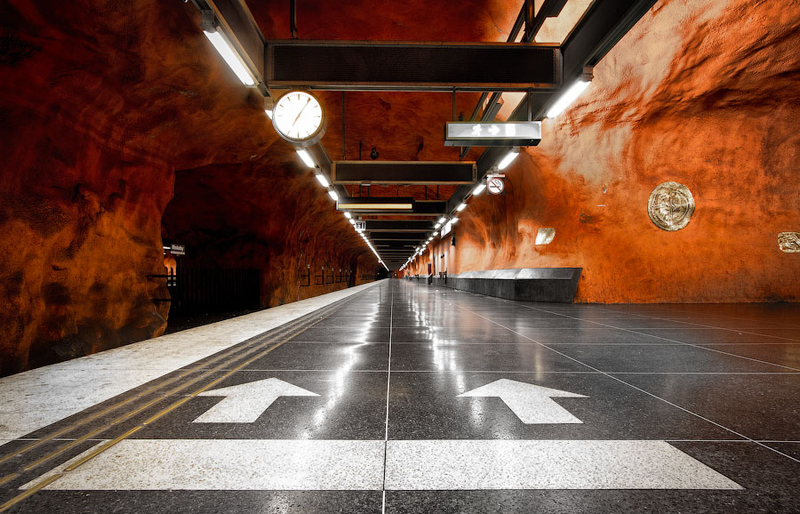 The whole metro system is 105.7 kilometres (65.7 miles) long and is comprised of three different lines color networks. 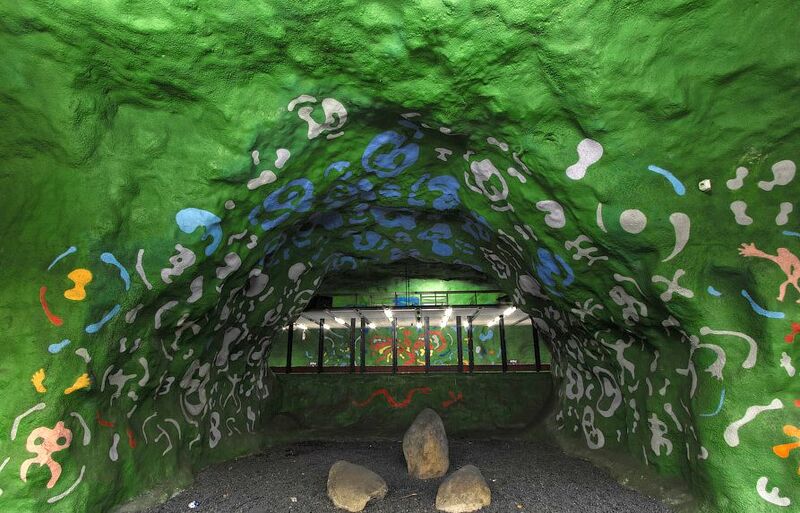 The first piece of underground art was introduced in 1957. 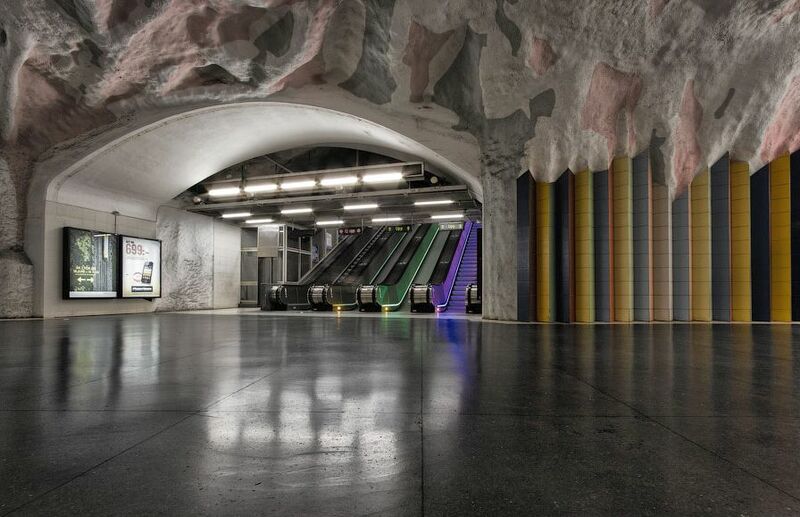 Today, around 90 stations out of 100 showcase works of art of almost 150 artists. 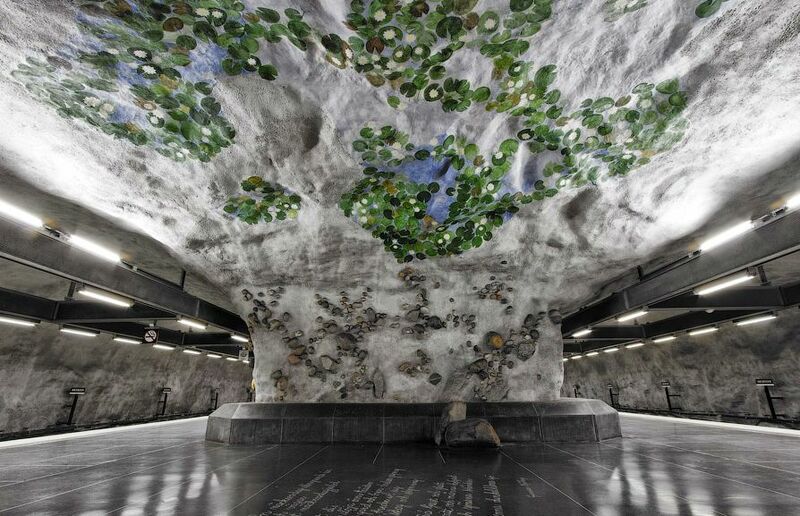 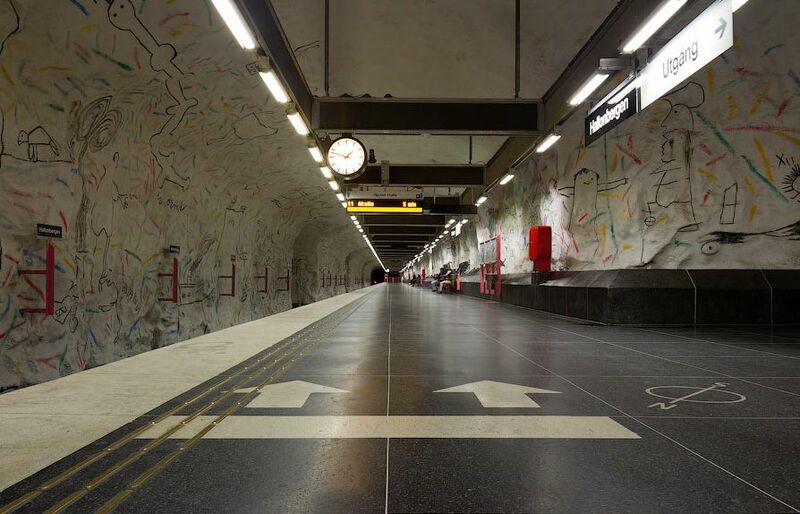 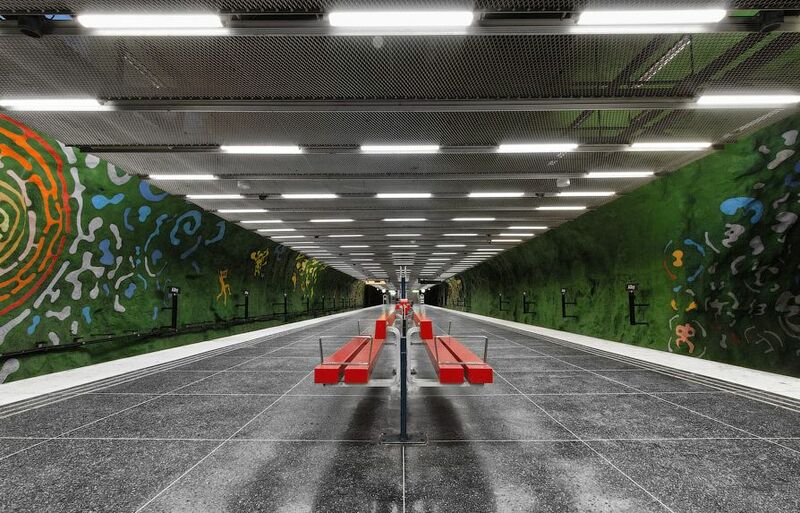 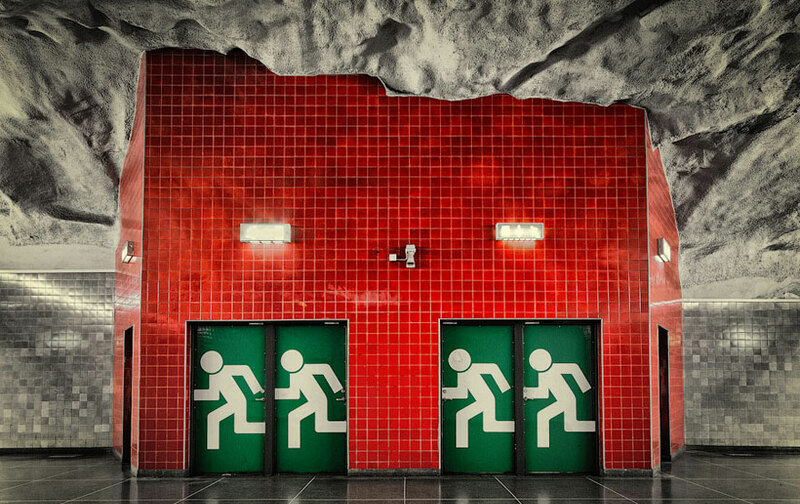 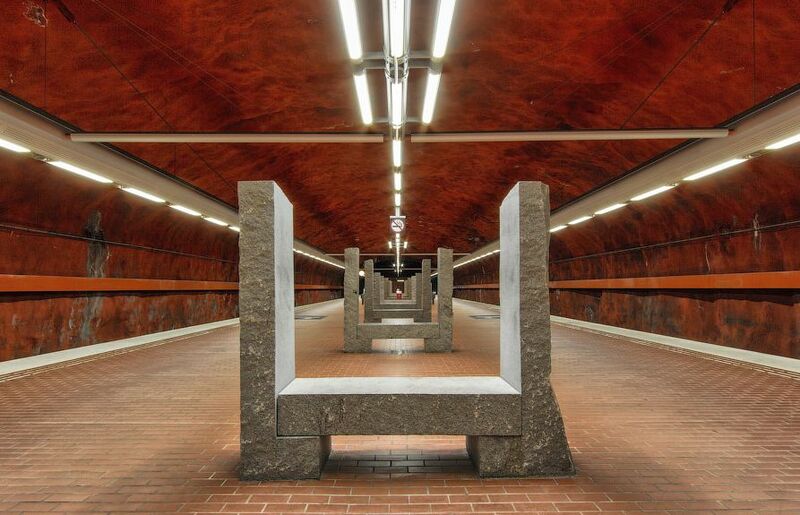 For the price of a Stockholm Metro ticket, you can see sculptures, mosaics, paintings, art installations and murals in over 90 of the metro stations. 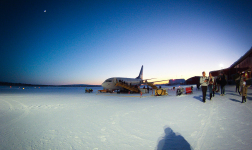 Thank you to Alexander Dragunov for sharing these amazing photographs with us! 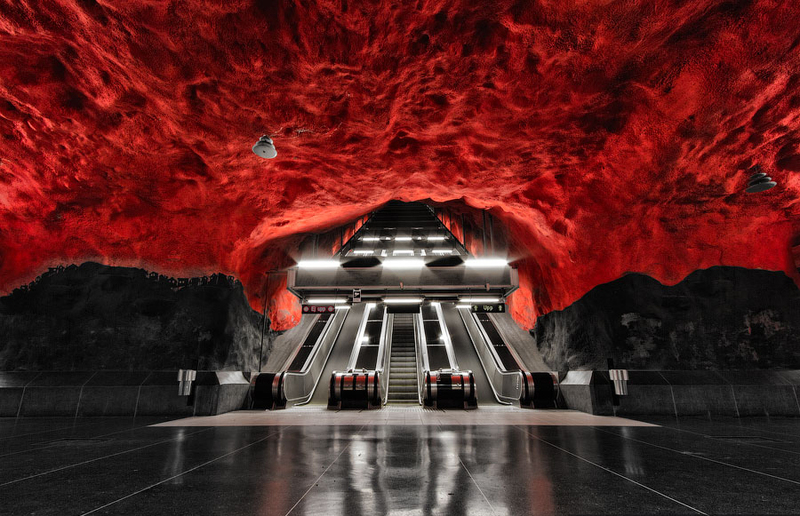 Cool pictures, especially the one that looks like hell. 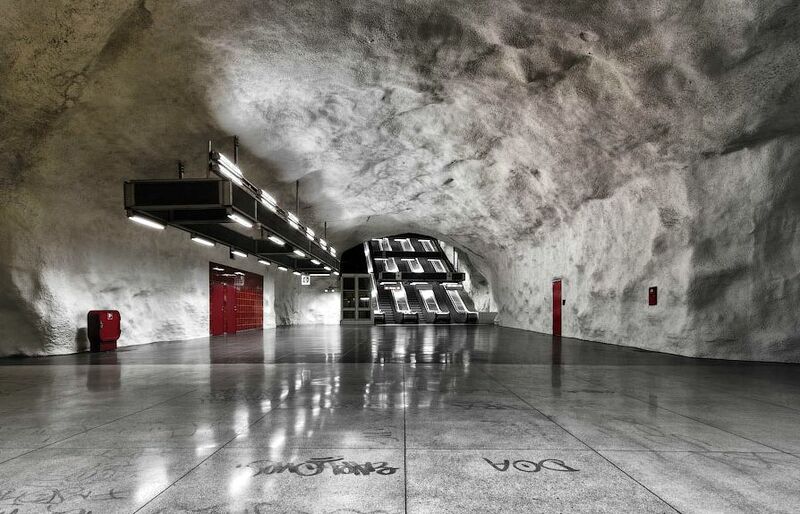 I would get a bit scared in that metro station I think, but photographing it would really be something. 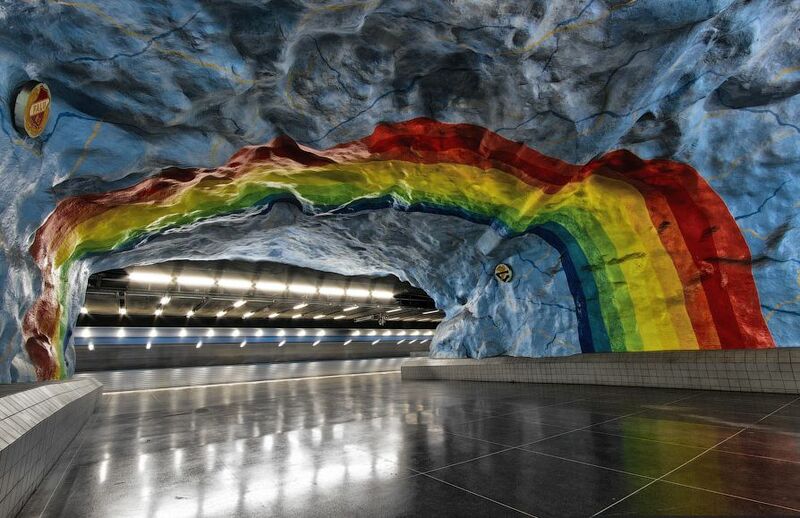 Simply amazing, and such creativity. 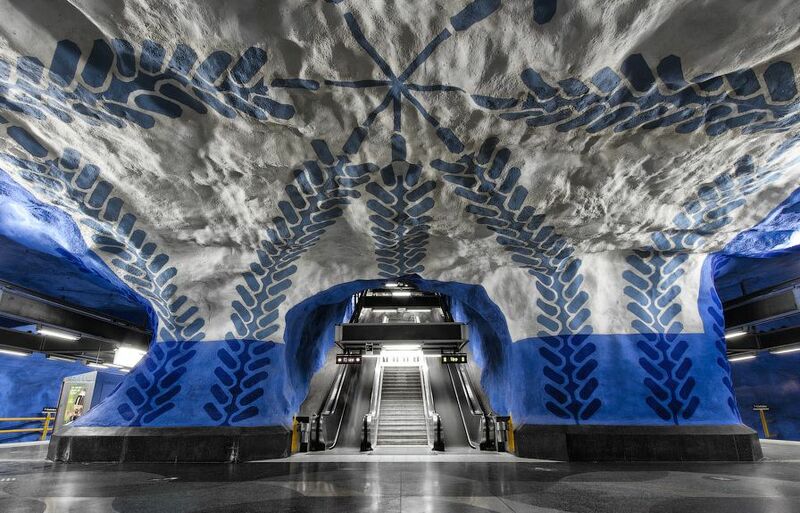 I’ve never seen anything like this before!